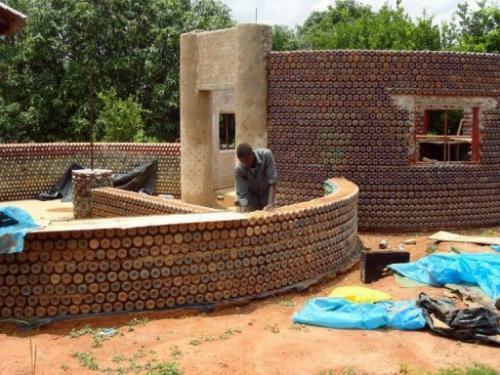 Nigerians are building fireproof housing with re-purposed plastic. The use of recycled plastic is important because plastic needs to be reused and kept out of landfills due to its negative impact on the environment. Froelich writes, “Researchers predict that 99% of all birds on this planet will have plastic in their gut by the year 2050.” In addition to re-purposing plastic, using plastic to build housing helps to solve Nigeria’s housing crisis in which nearly 16 million housing units are needed to fill the gap. Kaduna-based NGO Development Association for Renewable Energies (DARE), with help from London-based NGO Africa Community Trust, have joined together to solve both issues – negative impact on the environment and Nigeria’s housing crisis by building houses with zero carbon emissions and that can cost under $1000US to build. Now, that’s a win for all involved.